Since I got home for Winter Break I felt it was necessary to find time to relax. 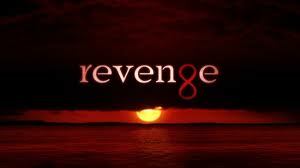 The plan was to get caught up on Gossip Girl because I actually have missed the entire season, but sadly the episodes are too far back to still be on hulu.com :( So I decided to scout out a new show to watch, and after remembering many people talk about (on twitter) how good this new show Revenge was I thought to watch the Pilot episode and see where it goes. Well a few hours later I am on episode 6.